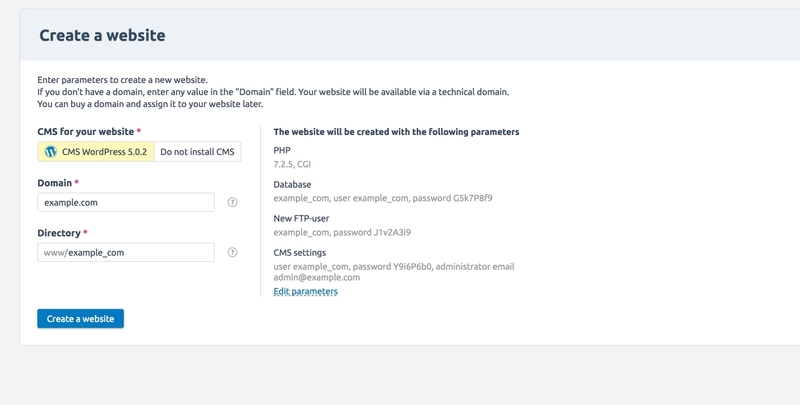 New version of ISPmanager named Vepp. 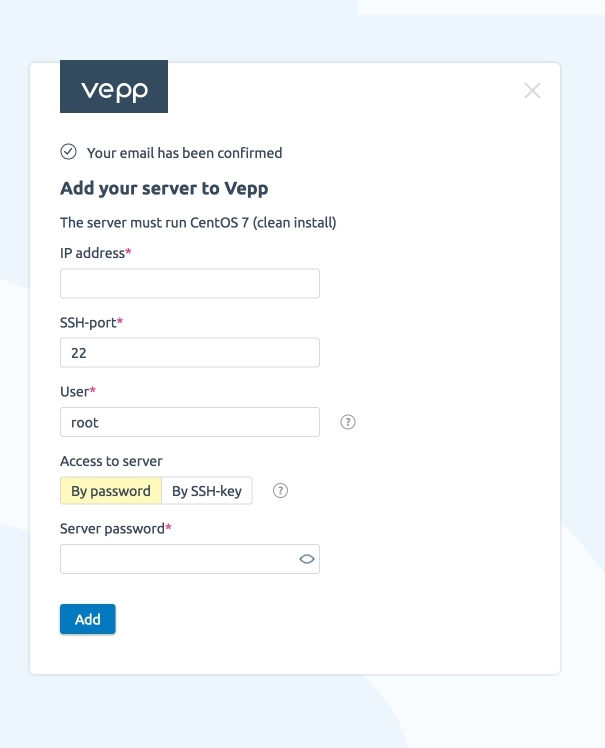 Vepp is a completely new product, now it have SaaS version installed on the developer's server. 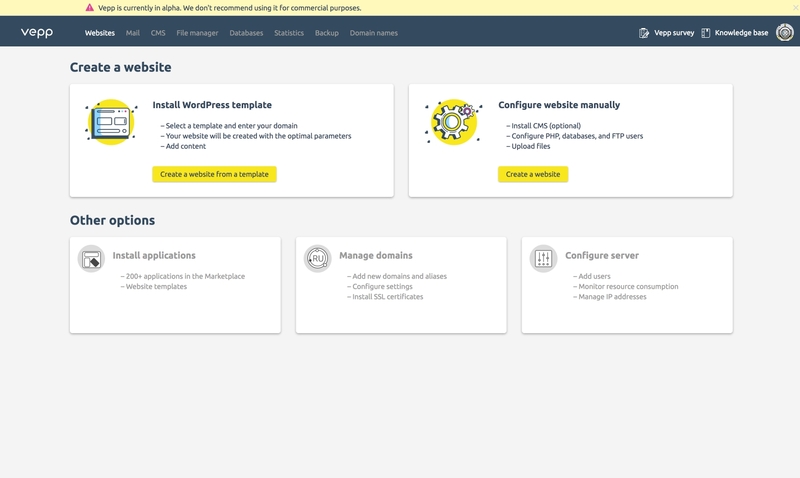 You can already test the Alpha version of the Vepp control panel for free by registering on the developer’s site https://www.vepp.com/. Now only main functionality are available. 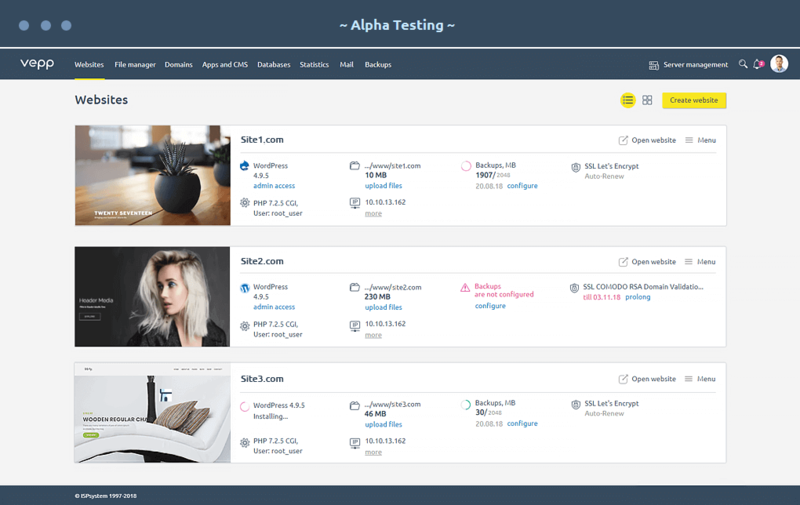 Upon completion of testing and adding all the usual features the panel will be paid. As soon as the sale of the panel begins, you can buy Vepp on our website at the lowest prices with free installation.